Construction of the brick church (Sta. 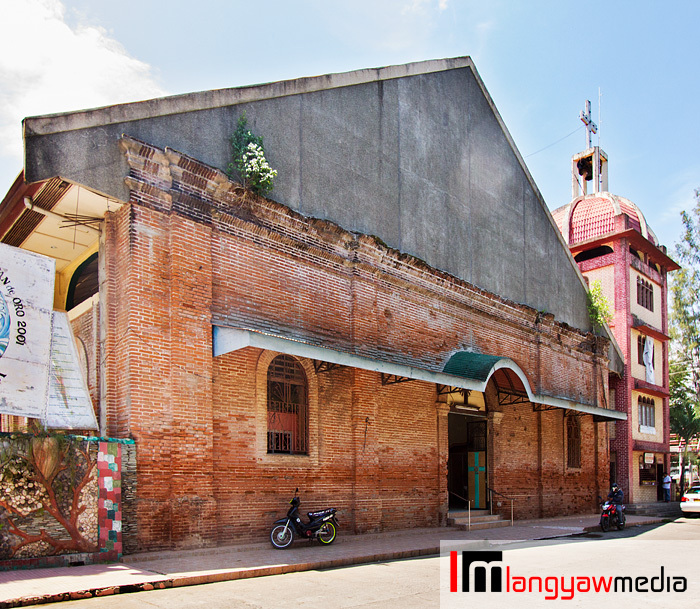 Rita de Cascia Church) is said to have started in 1892 by the Jesuits and finished in 1895 at the present location as the original wooden church near the coast was eventually destroyed by an encroaching sea. The lower level is made of bricks while the upper level made of wood. Two wooden belfries stood at the sides and three altars were installed.